Andrii Ishchuk was born in Kharkiv, Ukraine. At the age of four, he began studying ballet at Kharkiv Ballet School under the direction of Elena Solovyova and Mikhail Bezzubikov. Ishchuk performed titles roles in several children’s ballets, including Cinderella, Snowdrop and Pinocchio. In 2013, he received an Ellison Ballet Training Program Scholarship to study in the United States under the direction of Edward Ellison. While at Ellison Ballet he danced the Prince in The Nutcracker and the pas de deux in Giselle. In 2016, he graduated from Ellison Ballet with honors and attended the Ellison Ballet Summer Intensive in New York City. Ishchuk’s awards include first place at the International Youth Ballet Competition “Crystal Shoe” (Ukraine) in 2009 and 2011, first place at the International Junior Ballet Competition “Little Stars” (Bulgaria) in 2009, first place at the Youth America Grand Prix Boston semi-finals in 2016 and first place pas deux at the Youth America Grand Prix New York City finals in 2016. 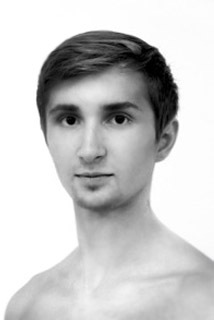 Ishchuk joined ABT Studio Company in September 2016, became an apprentice with the main Company in November 2017 and joined the corps de ballet in January 2018. Mr. Ischuk's performances with American Ballet Theatre are sponsored by J. Barclay Collins II and Kristina Durr.